Sky Go Android tablet app released | What Hi-Fi? 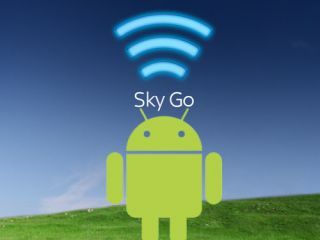 Last month we reported that Sky planned to officially release its Sky Go app for Android tablets on December 3rd. Well, Sky has kept its promise, with the tablet app now live in the Google Play store. The app had been undergoing lengthy beta testing, with some streaming issues preventing a full public release. However those issues have since been solved, and Sky Go is now available on the majority of Android tablets running 4.0 Ice Cream Sandwich and above. Two apps can now be found on the Google Play store; Sky Go Tablet has been optimised for 7 and 10 inch tablets. Some users have reported issues with the Google Nexus 7, but Sky has said it is working to fix these issues. The already live Sky Go app is best suited for use on Android smartphones. The Asus Transfomrer TF101 tablet and Amazon Kindle Fire are still unable to support the service. Sky says it is working on improvements to bring the tablet and smartphone apps together as one. The company has also just announced it has opened up its Sky Store movie streaming service to everyone, in a bid to rival Tesco's Blinkbox service. It plans to bring the service to Android and Apple smartphones soon.